Thank you very much; I've only been here a few hours posting and already you guys are very welcoming! what is your youtube channel??? thanks. I will watch some of them. Hello everyone! I’m Froggy Fool, and I’m happy to finally be a member of Muppet Central after lurking for a while. I’m a Muppets/ Star Wars/ Doctor Who/ theatre/ puppetry/ animation nerd (wow, who would think that there would be so many different types of nerds lol.) from Georgia. Also, I have a YouTube channel where some of you guys (specifically D’Snowth) may know me as A Company of Fools. Anyway, glad to be posting and I hope to see more of you guys on the forum! Welcome. Since you live in Georgia like me, be sure to tell me when you plan on visiting the Center for Puppetry Arts. I'm in the museum every Saturday from 3 to 5. 3 to 5 AM lol just kidding. Yeah, I love the Center for Puppetry Arts! Haven't been since 2015 when the new exhibit opened, it's probably time for me to visit again. holy wow, i can finally get on here now !!!! i also really like religious imagery + phenomena, indie/lo-fi music (especially bruce haack and alt-J! ), and boho/hippie aesthetic! i know that gavry3, 1,000 Eyes, and a few other users i dont know the usernames of at the present know me pretty well ... oh well tho! i'm excited to finally be here! Pig's Laundry, Froggy Fool, gavry3 and 1 other person like this. I wish I never found out about your music taste oof. Welcome I love anything Muppets especially Sesame Street. I have a HUGE collection of Muppet music even stuff not officially released that I take from the videos. If you need anything let me know. Hello fellow Muppet fans. I’ve known of Muppet Central for quite a while but I’ve finally decided to get an account. My Muppet interests mostly centers on the Muppet Show, Muppets Tonight, and Jim Henson Hour, though I am familiar with Sesame Street and Fraggle Rock. I watched Sesame Street and Fraggle Rock a lot when I was a little kid, but it took me a while until I got into the Muppet Show. I had vague memories of the Muppets until kindergarten. Like i think I remember seeing the In the Navy sketch on the Muppet Show when it was still being shown on Disney Channel, and maybe parts of Muppet Treasure Island when my older brother Josh had it on VHS, but after that, I didn’t really see anything Muppet-related. Then, for a while after kindergarten…I was actually scared of the Muppets! It started when my grandmother got the season 1 DVD set for the Muppet Show when I was 6 years old, which as we all know, most of the characters looked kind of weird back then, especially the monsters. Apparently, something from the show scared me away from the Muppets, but I can’t remember if it was Mahna Mahna, Animal, or the Muppet monsters. Then, in 6th grade, my chorus teacher decided to let us watch a movie because we had just performed for a school holiday concert and we deserved a break, which delighted us. The movie ended up being The Muppet Christmas Carol. I was really scared but I didn’t say anything because I thought people would laugh at me. When it came to the part where Jacob Marley (Statler)’s head had morphed from the door knocker and did that yell, I actually did shriek, but for some reason, I didn’t run out of the room. Then, when Animal’s part when he walked on-screen to yell everyone to be quiet, I got scared again, not sure what he would do since I’ve never seen this film. When he said his line, “QUIET!!! !” I didn’t scream or anything, but I didn’t laugh either I just stayed quiet and watched on. Then, in my 6th grade English class, our teacher was having us read the Christmas Carol and guess what movie we watched? Yep, he wanted us to compare the actual book to the Muppet adaptation of it. When Statler’s part came up again, I braced myself for it, but this time…I didn’t freak out, in fact, as I watched the rest of the movie, I actually began to enjoy it because i realized the Muppets weren’t as scary as I past believed. Then, began my whirlwind Muppet craze!!! After watching the movie, I was hooked on Muppets, so hooked that I wanted to see all the other movies and shows they made. First, I found an old VHS tape for Muppets from Space (we had a VHS player back then, but we’ve since upgraded to Blu-Ray), where I saw the movie, and also the trailers for all the past Muppet films. I was really intrigued by the Great Muppet Caper one the most (which became my favorite Muppet film after watching it!). Then, i started getting all the Muppet films on DVD from my grandfather, including Muppets from Space, then the three Muppet Show seasons DVD packs (I got Season 2 first from a Best Buy. The other two I didn’t get until Easter), and when we got internet and i got a laptop, I found the Muppet wiki and found out about Muppets Tonight and Jim Henson Hour, not to mention a lot of Muppet fanart and fanfiction on fanfiction and fanart sites and I met my first online Muppet friends. My favorite Muppet Memories are seeing The Muppets in theaters when it premiered, along with my mom and stepdad, seeing In the Navy in the Muppet Show when I was really little, and the Wedding Scene in Muppets Take Manhattan from one time my brother Josh had it on DVD. My favorite Muppet characters are Zoot, Lips, Janice, Animal and Clifford. 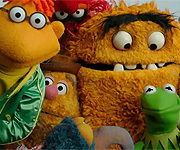 My favorite Muppet movies are Great Muppet Caper, Muppets take Manhattan and Muppets from Space. My favorite episodes of the Muppet Show are the ones with: Paul Williams, Elton John, Liza Minelli, Dudley Moore, Peter Ustinov, Hal Linden, Kaye Ballard, Cleo Laine, Linda Lavin, Helen Reddy, Harry Belafonte, the Cast of Star Wars, Dizzy Gillepsie, Brooke Shields, Paul Simon, and Melissa Manchester. My favorite Muppets Tonight episodes are the ones with Prince, Sandra Bullock, and the Cameo show. My favorite episodes of Jim Henson Hour are Power, Videotape, Secrets of the Muppets and Food. I look forward to getting to know all the other Muppet fans on this site and I hope to contribute to it a lot. Hola! soy de osta Rica y pase toda mi infancia viendo el show de los Muppets, era mi favorito. Ahora de grande he hecho algunos Puppets y estoy comenzando a construir mi propio Kermit, asi que ya les anunciare como me va con eso. Es para mi un honor ser parte de este grupo. Hello! 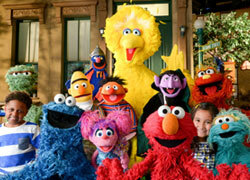 I am from Costa Rica and spend all my childhood watching the show of the Muppets, it was my favorite. Now I've done some Puppets and I'm starting to build my own Kermit, so I'll announce how I'm doing with it. It is an honor for me to be part of this group. Pig's Laundry and gavry3 like this.